Looking for replacement parts or optional parts for your Vapor or Vector computer here are your list of choices. N.B. 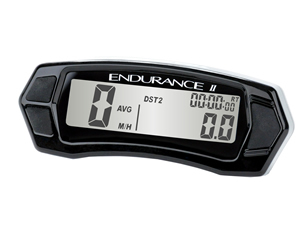 Vector is now discontinued as a kit but all Vapor parts can be used (Vector does not have RPM). 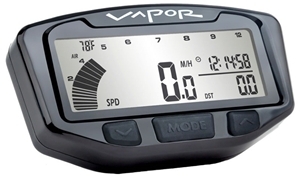 This is the Vapor version 2 - supplied in kits from 20th April 2015. Functionality remains the same as previously however the physical build has been updated. The power lead and mounting bracket have been changed, all replacement head units will be supplied with the updated parts. 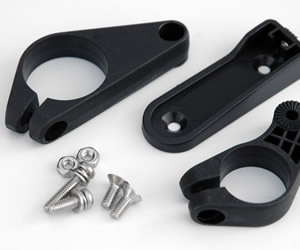 Handlebar mounting bracket Vector, Vapor, Striker and Voyager (not Voyager Pro). 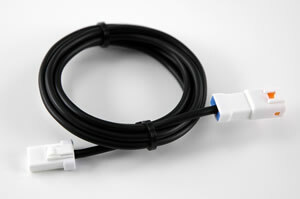 Kit contains one sensor wire. 48", 1.2m. Power wire for Vapor 1, Striker and Vector computers. White connector snaps into mating connector on computer. Red and black leads are wired into vehicle electrical system (polarity independent.) Computers operate in the range of 6.0-400 VAC/VDC, but will not draw enough power to drain a vehicle battery. Voyager/Vapor Ignition RPM Sensor 1800mm Length. 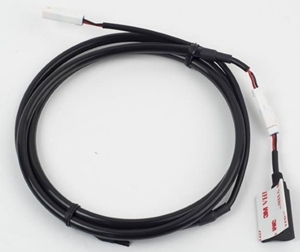 Kit contains two sensor wires, one used for Vapor tachometer connection (version 1 Vapor only) on Raptor 700 and KFX450, and another for Vapor/Vector power. 48", 1.2m. 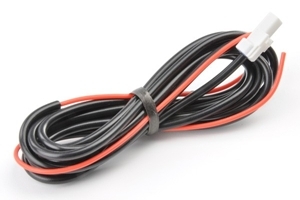 Power wire for Vapor and Vector computers. White connector snaps into mating connector on computer. Red and black leads are wired into vehicle electrical system (polarity independent.) Computers operate in the range of 6.0-400 VAC/VDC, but will not draw enough power to drain a vehicle battery. 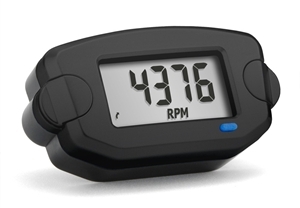 Tachometer connection for Vapor on Raptor 700 and KFX450. Installation is easy. White connector snaps into mating connector on computer. Black lead is wired to frame ground. 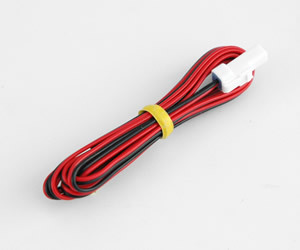 Red lead is wrapped around spark plug wire (5 times) or spliced into vehicle coil connector. Integrated resistor resolves electrical requirements for Raptor 700 and KFX450.